Ricky is the founding pastor of RiverOaks Presbyterian Church. He believes his primary calling is to communicate the love of God in Christ to those who have never experienced it before. He has tried to do that for the past 19 years of ministry by preaching and creating a culture of rest and grace. 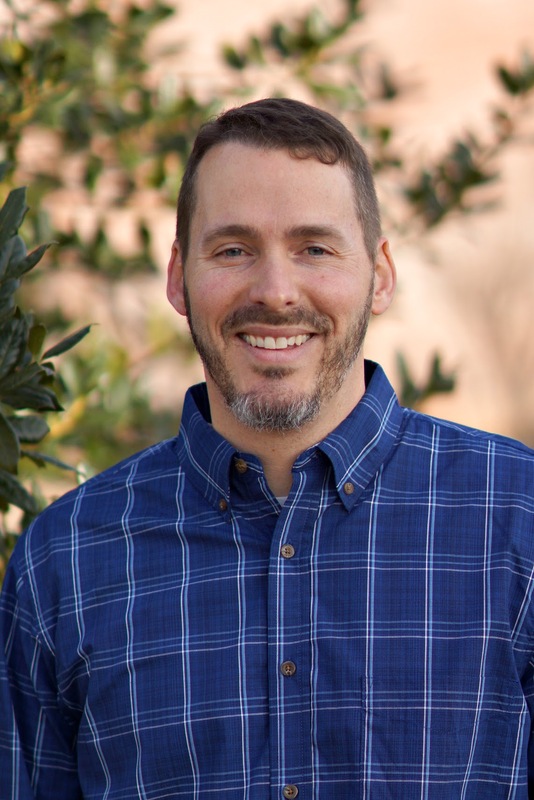 Before coming to RiverOaks, Ricky spent 11 years as a campus minister with Reformed University Fellowship. Before then he went to Vanderbilt University, and then Reformed Theological Seminary. Ricky married Bianca in 1992, and they have four grown sons. When they are not at the church, Ricky and his family can be found watching and re-watching stand-up comedy routines or football games. On special occasions, Ricky can be found eating at “The Bull in the Alley” or more often at his neighborhood bistro “Oliveto’s." 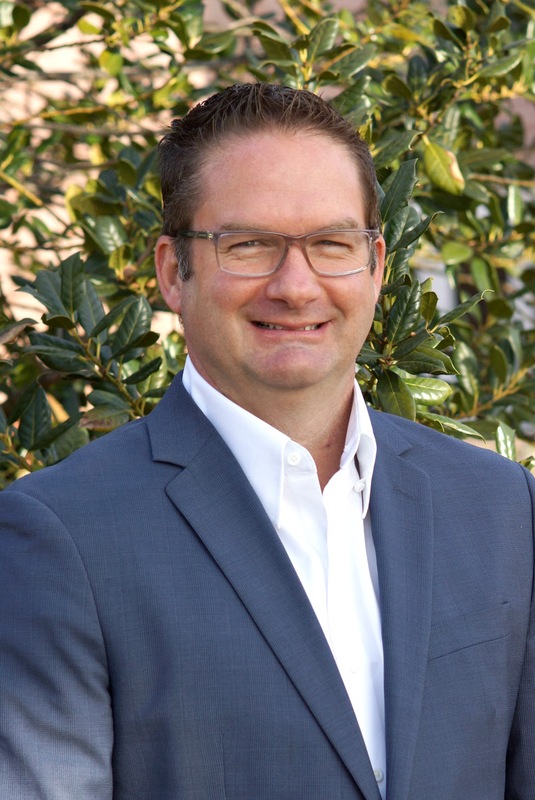 Jonathan is the Executive Pastor at RiverOaks, overseeing a lot of the structure and systems of the church, primarily as the pastor over Community Groups. He loves being part of a great staff and being able to support Ricky, as well as having the freedom to coach other pastors and church planters in the area. Jonathan was born in Pittsburgh, PA but moved to Texas when he was 12. He and his wife met at Baylor University, got married around graduation in 1996, and went on to seminary at Reformed Theological Seminary- Charlotte, NC. 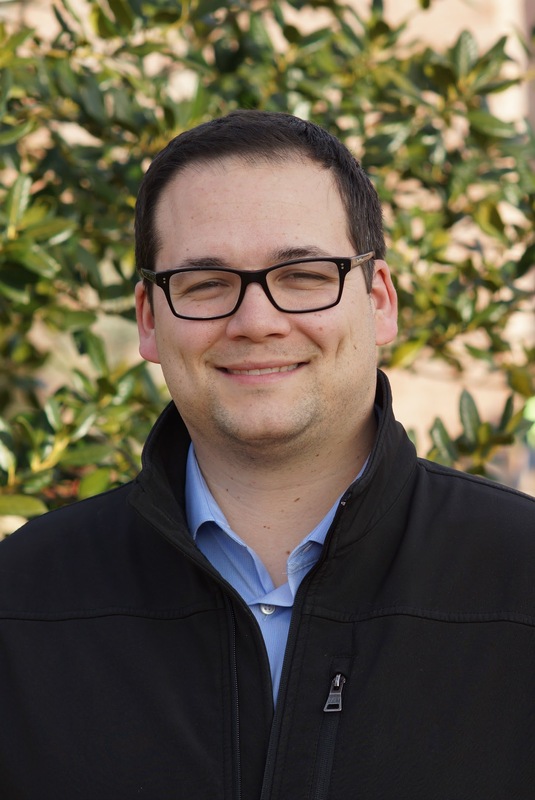 After seminary, Jonathan was an Assistant Pastor at two PCA churches in South Carolina and Virginia. In 2003, their family moved to Stillwater, OK to plant Grace Presbyterian Church for 11 years. In June of 2014, they moved to Tulsa for Jonathan to work at RiverOaks and for Rachel to work at Family and Children's Services. Jonathan and Rachel have two teenage daughters, Madeleine and Eliza, who are very active in the RiverOaks youth group. Jonathan has a passion for fingerstyle guitar playing as well as for watching and dialoguing about great films. His favorite restaurant in Tulsa is Sweet Lisa's Cafe, and his favorite activity is going to movies with Rachel and friends at the Circle Cinema. Caroline came to Tulsa in August 2017 to join the staff at RiverOaks as Director of Women's Ministry. She moved here from New York City where she served on staff at Redeemer Presbyterian Church East Side leading the youth ministry. In addition, while in NYC, she served homeless women in recovery through the Bowery Mission. Before NYC, Caroline served college students through the ministry of Reformed University Fellowship, a ministry that had a significant impact on her life and faith during her time in undergrad at the University of Georgia. Originally from Macon, GA, Caroline is the youngest of 5 kids and has 7 nephews and 2 nieces. She enjoys exploring the local food and music Tulsa has to offer, riding her bike, hiking Turkey Mountain and cooking fresh produce from the farmer's market. Her favorite restaurants are Smoke on Cherry and Chick-Fil-A. Ross has the privilege of serving students and families with pre-teen/teenagers at RiverOaks. His Vision Statement for our Student Ministry is "Christ. Life. Legacy. ", which boils down to connecting students to Jesus Christ, His body of believers at RiverOaks, and their parents. His hope is that they will fall in love with God and His people, and walk a path which leaves a legacy that points to Jesus, not themselves. Ross attended Edison High School here in Tulsa, went on to graduate from Oklahoma State University in Stillwater with his B.A. in Music Ed. (2006), then attended Dallas Theological Seminary to earn the M.A. in Christian Education & Youth Ministry (2012). He served three (3) one-year internships during his time in college and graduate school, working with Jr. High. Sr. High and College-aged ministries. Ross previously served as the Student Pastor at Liberty Church in Broken Arrow (2013-15), and was then called by RiverOaks to serve as its Student Pastor in July 2015. Ross has been married to his wife, Elizabeth, since March 3, 2012 (dates are important), and they have two beautiful (and very different) daughters named Evangeline ("Elle") and Josephine ("Josie"). They enjoy watching movies together and are learning the 'art of survival' as parents. Their favorite restaurant here in town is a toss-up, either Sushi Hana or Bodean's Seafood, and their favorite 'hot-spot' in Tulsa is the play area at Chick-Fil-A, where everyone is happy! Lastly, for personal hobbies, Ross enjoys reading theology (if you want to know some good reads, just ask! ), playing violin (he teaches part-time), watching scary movies and working on his yard. Jason is the Full-Time Administrator for the church. He is what Pastor Jonathan calls "the secret glue" that keeps everything organized around the office and with the leadership. However, he doesn't just do administrative work, he is also very active in ministry and is working towards getting ordained as a pastor. Jason attended Union High School here in Tulsa. He was an atheist as a young man and has a unique story of how he became a Christian (you should ask him about it sometime). He went on to graduate from Oklahoma Wesleyan University with his B.S. in Biblical and Theological Studies. Jason came on staff in 2012, and he is almost finished with his M.Div. through LAMP Seminary. Jason has been married to his wife, Esther, since 2009, and they have two beautiful children named Mykah and Jacob. They enjoy reading, super hero movies, detective shows, and hiking. Jason's favorite restaurant here in town is the Indian Palace (Esther’s is Lanna Thai), and his hobbies include puzzles of all kinds, learning to play the guitar, video games, and researching just about everything. Shannan is the Director of Early Childhood and Elementary ministries at RiverOaks Presbyterian. She is responsible for the care and Christian education of children aged newborn through 5th grade. She feels very blessed to be able to watch the children grow physically and begin their spiritual walk with Christ. She truly loves her job. Shannan was born and raised in the Shenandoah Valley of Virginia. She graduated from Bridgewater College in 1992 with a major in Sociology and minors in Child Psychology and Early Childhood Development. Before graduating, she did an internship at Domestic Violence Intervention Services in Stillwater while her fiance was attending OSU. They married right after graduation and remained in Stillwater. In 1994, they moved to Tulsa and started attending Kirk of the Hills. Shannan was a stay-at-home mom for several years and spent a lot of time volunteering at the Kirk’s early childhood area. She eventually became the Director over the Early Childhood and taught at the Kirk’s preschool. She later met David and Jennifer Hall and became one of the original families that started the church plant which led to RiverOaks Presbyterian. Shannan and Bill have three children, Megan 19, Matthew 18, and Jonathan 10. Shannan loves spending time with her family, traveling and cooking. Shannan’s favorite restaurant in Tulsa is Ted’s Escondido and her favorite pastime is watching her children participate in their activities and spending quality time with Bill. 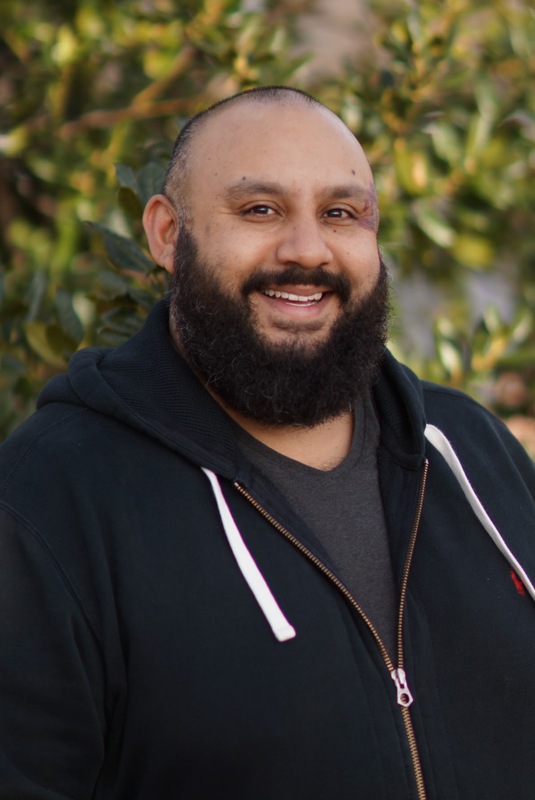 Isai (EZ) Mireles is the Music Director at RiverOaks, overseeing an amazing team of volunteers, which include the church music, sound, and tech teams. He loves the friendships he has gained at RiverOaks and the opportunity he has to plan and direct the music every week. EZ was born in McAllen, TX and received his B.S. in Communications/Journalism from Tabor College in Hillsboro, KS. After graduating in 2003, he moved to Tulsa and worked as a professional musician for 3 years. 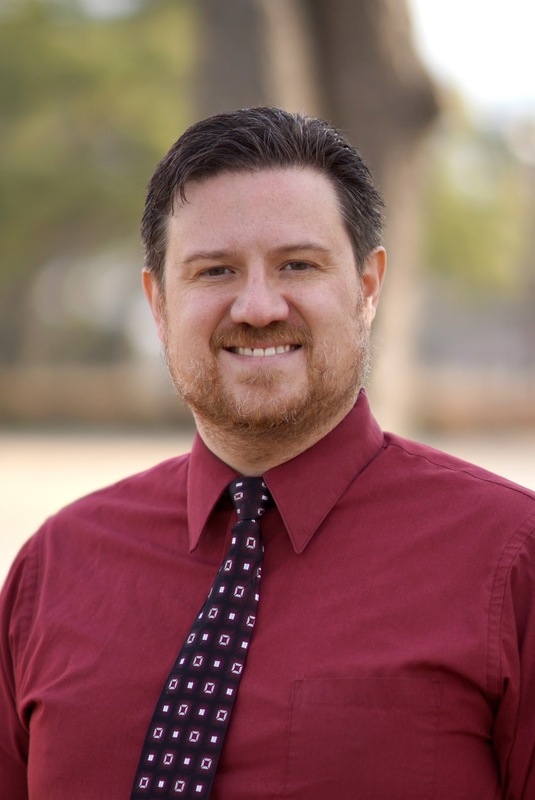 After meeting his wife, Jodi, EZ moved back to South Texas and received a teaching certificate. After teaching in Texas for a year and marrying Jodi on a beach (technically a conference room, it rained) in Mexico, he moved back to Tulsa and has been a school teacher at Union Public Schools for 11 years. Prior to coming to RiverOaks in 2010, EZ worked as a contract musician for Life.Church for 7 years. EZ and Jodi have two daughters (Sienna & Sage) and a son (Holden). EZ has a passion for putting bands together that play in private events and weddings in and around the state. He enjoys playing tennis and cheering on the Dallas Cowboys. His favorite restaurant in Tulsa is Red Rock Canyon Grill, and his favorite activity is going on date nights with Jodi.